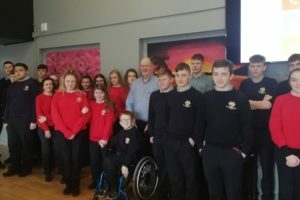 “It is better to lose a minute in life, than to lose your life in a minute.” is the motto that our Senior Cycle students were encouraged to embrace after they attended a talk by farm accident survivor and native of Eyrecourt Mr. Peter Gohery. He gave gave two farm safety awareness talks in Dunmore Community School on Friday 5th April. 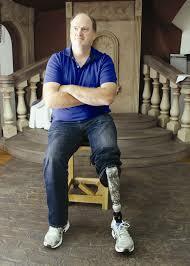 He spoke tothe students and teachers about the horrific life changing accident he suffered. He gave them advice and made them aware of the potential dangers that are associated with machinery ( cars, tractors etc) if they are not handled in a safe and careful manner. Hopefully everyone at the talk will take on board his very important message.